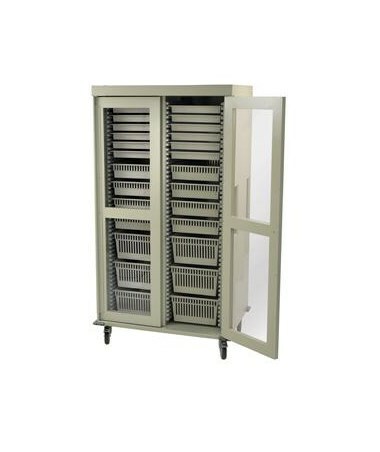 The Harloff Preconfigured Double Column Medical Storage Cart with Clear Panel Doors is an innovative modular tray system designed to provide hospitals, clinics or medical facilities a quick and hassle-free access to medical supplies related to Arthroscopy, Cardiology, Catheterization, Cystoscopy, Endovascular Labs, ENT, Interventional Radiology, Laparoscopy, Ophthalmology, Orthopedic, Neurology, Urology and Vascular. Ensured Durability. Made with high-quality materials, the Preconfigured Double Column Medical Storage Cart with Clear Panel Doors has an all-steel and Vivak construction designed to withstand daily rigorous use for a long time. The cart is mounted on 5" Premium full-swivel casters with two braking for easy movement around the facility. It also gas corner bumpers that protect the cart from collisions. Optimal Storage Space. 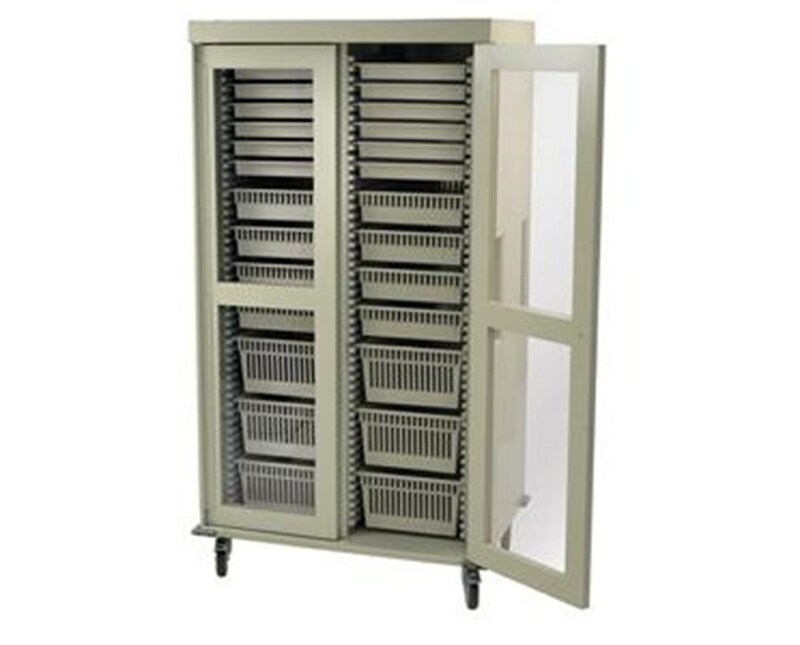 Aimed to provide lesser carts in any medical facility, the Preconfigured Double Column Medical Storage Cart is designed with 30% more storage capacity than any other cart in the market today. The cart features various sizes of either modular trays or wired baskets that can be viewed at any angle without falling out of the cart. It also includes adjustable dividers, plastic side panels, and pull-out stoppers.